A European financial transaction tax will cover participants that trade on venues in countries that are not party to the tax and had no input in its creation, according to the European commissioner in charge of the plan. A European financial transaction tax (FTT) will cover participants for trading on venues in countries not party to the tax, and who had no input in its creation, according to the European commissioner in charge of the plan. Algirdas Šemeta, the European commissioner responsible for taxation and customs union, audit and anti-fraud, is overseeing development of the FTT and said the levy would apply to financial institutions in the member states party to the tax, regardless of where a transaction takes place. This means the 11-strong bloc of EU member states that support the tax will be able to raise revenues from trades occurring on the world’s largest exchanges. 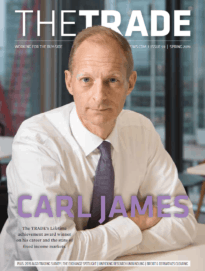 “Whether a trade takes place in London, New York or Tokyo, the transaction will be taxed if there is an economic link to a member state applying the FTT,” he told theTRADEnews.com. Under the current plan, a German bank trading on the London Stock Exchange (LSE), would be taxed, but a UK bank trading on Deutsche Börse would not. Thus, the LSE, which traded €60.8 trillion, or 12.5% of European equities in December, according to Thomson Reuters data – as well as UK financial authorities – would have no say in the development of the tax, despite facilitating transactions which come under its remit. As more details of the FTT emerge, concern is growing among market experts, who claim the tax will further stunt trading growth in Europe at a time of prolonged low volume activity. 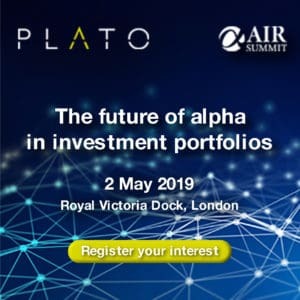 Diego Valiante, head of research for the European Capital Markets Institute, believed the global reach of the plan would be difficult to enforce and would ultimately have a negative impact on European trading volumes. The commissioner also confirmed the tax will be “very similar” to the initial proposal first published in September 2011, and would cover all listed derivatives and structured products. The range of products covered will be more extensive than the French FTT established last year, to rule out avoidance techniques, such as use of single-stock futures to mirror equity exposure – a strategy that became popular in France in the tax was implemented. “[The European tax] would have a much wider scope than the French tax and should cover all transactions on financial markets except spot currency transactions and the primary emission of shares and bonds,” Šemeta said. Last week, the European Commission passed a motion for ‘enhanced cooperation’ for the tax, which means it will begin its formal progression through Brussels’ legislative bodies. The European FTT is expected to tax equity and bond transactions at 0.1% and derivatives transactions at 0.01% and could be enforced as early as January 2014. Eleven of the EU’s 27 member states have pushed for the creation of the tax after efforts to establish an EU-wide tax failed. Efforts to revive the 2011 plan began in October last year, lead by Germany and France, although the UK, Europe’s largest trading nation by volume, has not backed the tax. Concern has also arisen that any tax on financial institutions – which was in part created to recoup public money used to support institutions in danger of defaulting – would simply be passed on to end investors.